Synopsis: A couple of Hair Hall of Famers squared off in The Matchup, and they didn't disappoint, with both proving they're a cut above but Sutter squeaking out a razor-thin victory. that is one hairy card. 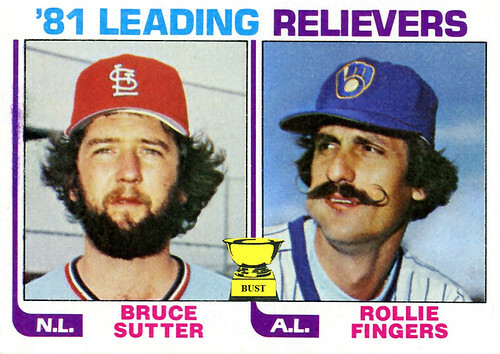 if only there were some way to add bill buckner circa 1981 to that card.